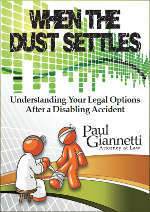 Can’t Find A Lawyer For You SSD/SSI Claim? In certain circumstances, attorneys are skeptical about taking on certain Social Security appeal matters. This happens often with Supplemental Security Income claims where the claimant is relatively young and/or has medical condition which will likely not meet Social Security Disability criteria. If you are having trouble finding an attorney for your set of circumstances, you may be able to help yourself. If you have spoken to your treating physicians and are able to get a written statement outlining the nature of your disabling medical conditions and an affirmation that you would be unable to perform a full time job, you will likely be able to persuade an attorney to reconsider taking your case. Such a statement will impress upon the lawyer that you do have a doctor that believes that you are not able to work, which is half the battle with Social Security claims.